Helping our patients obtain the best dentistry throughout their lives based on their goals, desires and budget. Dr. Richard and Dr. Bruce Winter are third generation restorative dentists that focus on providing ideal dentistry for the entire family in the Milwaukee area. Their practice focuses on advanced cosmetic and reconstructive dentistry to help people enjoy improved function, cosmetics and comfort throughout their lives. Dr. Richard Winter lectures throughout the United States and publishes articles on advanced reconstructive and implant dentistry while Dr. Bruce Winter is an associate professor at Marquette University School of Dentistry. Together they strive to remain abreast of the latest technologies available in modern restorative, cosmetic and implant dentistry. Hampton Dental Associates offer a broad range of dental services from advanced whitening and deluxe crowns and bridges to complex implant reconstructions. We invite you to read our publications and visit our before and after photo gallery for more information on our family dental practice. From dental implants and crowns to full mouth reconstruction and smile makeovers, we invite you to view our extensive selection before and after photos. Excellent service and award-winning dentist in the midst of the inner city. That's almost unheard of. My dental hygienist Raya does an exceptional job with my cleaning and makes every appointment memorable. Hampton dental has an excellent team from the receptionists to Dr Bruce and Dr Rick. I would highly recommend this establishment! - Gether M.
All Dentist Are Not Equal. I’ve done research due to the horrible experiences I’ve had with dentist in the past. After doing research I found there are different levels of dentistry. D.D.S. M.A.G.D. D.I.C.O.I. D.A.B.O.I./I.D. F.A.A.I.D are examples. Dr. Richard Winter has earned all of these. Those designations come with many hours of continuing education, practicum, in some cases over 1000 hours of practical application and exams. I think that’s why Dr. R. Winter takes pleasure in sharing information about procedures and why his work looks fabulous! I literally went from fearing visits to looking forward to them. My teeth look better than they ever have! I feel blessed that I finally found the right dentist, a huge weight had been lifted off of me. – Anise T.
Dr. Rick is awesome! I have referred many to Dr. Rick and he is such a personable dentist who care about his patients. I have been a patient of Dr. Rick for over 20 years. Whenever I need him, in an emergency, or whatever, he is there! I refer him to everyone I know!! I love Hampton Dental Associates because they are like my extended family! Dr. Rick was very calming and helpful and informative about what he was doing. The best experience I have had in years! - Ricky F.
The staff are so friendly, and they make you feel good and safe when coming in to be served. most of all the Doctor has such great since of humor. Hats off to Hampton Dentist. – Clayton D.
My experiences was great. Everyone was kind and very helpful. From the time that i walk in the front building. My oral surgeon made me feel comfortable by small talking with me before the procedure and didn’t really know me but making me feel comfortable. I have been to other dentist/oral surgeon in the past and they didn’t make me feel comfortable or at ease. I love Hampton Dental and recommend it to anyone that’s looking for a Dental home. You won’t be disappointed. – Felicia S.
I had a complex surgery and I was very scared but they made me feel so comfortable and it was so quick and the office staff is the best on the world my job required a lot of paper work and I was help through it every step of the way Thank you for everything Hampton Dental. – Sandy R.
Very personable, professional and most of all caring. He has always put me at ease throughout my treatment and used terminology that was very easy to understand. Stressed the importance of keeping up with my care. I feel like a family member in his office! - Marilyn B. We are committed to providing the finest dentistry possible. From custom crowns to deluxe dentures we utilize the finest labs and materials available! The ABOI/ID Diplomate designation symbolizes the highest level of competence in implant dentistry. 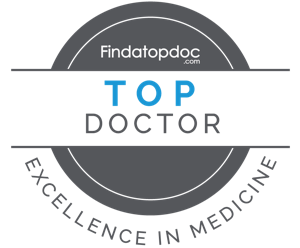 Dr. Winter is one of only 550 dentists in the United States to hold this designation. This award has been recognized as a “Specialty” status by several states and the AAID leads the initiative to create Oral Implantology as a Specialty throughout the country. The AAID strives to advance the science and practice of implant dentistry through education, research support and to serve as the credentialing standard for implant dentistry. To achieve Fellowship in the AAID Dr. Winter had to complete 400 implant cases and take a rigorous written and Oral examination by the ABOI. The ICOI is not only the world’s largest dental implant organization, but it is also the world’s largest provider of continuing dental implant education. To receive Diplomate Status Dr. Winter had to achieve Fellowship and Mastership in the ICOI. This required 100’s of hours of continuing education, case submission and documentation.